In every corner of the world you'll find a JCB machine. 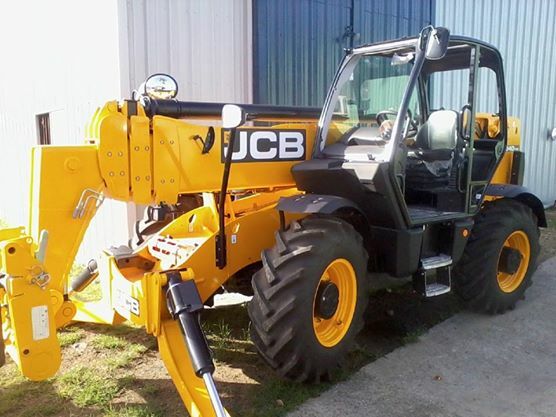 JCB is one of the world's top three manufacturers of construction equipment. They employ over 12,000 people on four continents and sell products in 150 countries. Since being founded in 1946 and throughout their history, JCB has always invested heavily in research and development, keeping JCB at the cutting edge of innovation. In 1945, Joseph Cyril Bamford (Mr JCB) began using his engineering flair to invent new construction equipment. Right from the start, our machines were shining examples of innovative thinking and this commitment to innovation means we’ve always reinvested heavily in R&D, production processes and customer care. Today, JCB has some of the finest engineering facilities across the globe, produces a range of over 300 machines and JCB parts, and maintains a reputation for unrivalled customer service. You may be interested to read this e-magazine about the JCB Teletruk. The Teletruk is ideal for many Caribbean applications. JCB’s unique approach to construction machinery helps to explain how they continue to grow their global reach. Although they’re still a proud family business based in Staffordshire, United Kingdom, JCB machines operate across six continents, and they manufacture at 22 locations in the UK, Brazil, Germany, China, North America and India. Contact Parts & Power today for all your JCB machinery requirements.